If you click above to visit the Ad Specialty Products Promotional Products store, and seach the word "calendar", you will notice that the search results come up with FOUR HUNDRED AND NINETY NINE products. That's JUST for the word calendar, if you seach for "planner", you will reach equally impressive results. 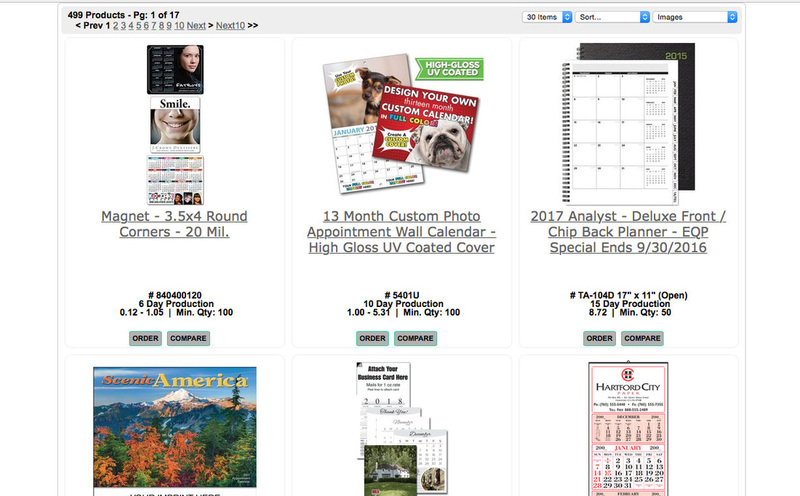 Calendars and planners are a huge business, so we dedicate huge amounts of resources to them. It is important to us to be able to provide every type of calendar and planner imaginable, because calendars and planners are one of the top promotional products sellers every year. Why do we consider promotional calendars and planners to be a promotional item? Because companies know that they make a great giveaway at almost any event, as they keep YOUR LOGO on the client's wall for the duration of the year. And many more selections like these, in every variation imaginable. Click the pic above to check them out or do your own search, our site is incredibly easy to navigate.